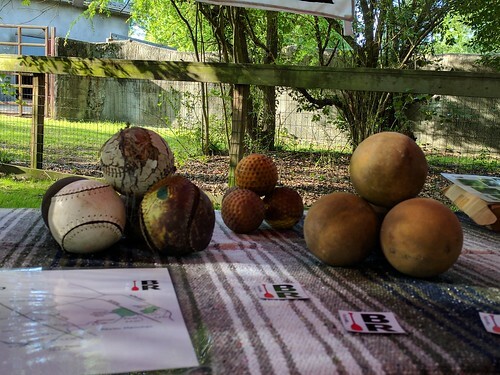 Things seem to come in batches, and with a BREC Sunset Paddle, Louisiana Earth Day, and more, this was certainly one of the full ones. So, on with the show. 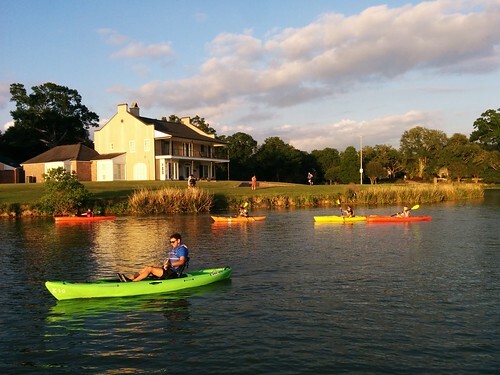 Kicking off the weekend, we had April’s second Sunset Paddle at University Lake with BREC Outdoor Adventure. 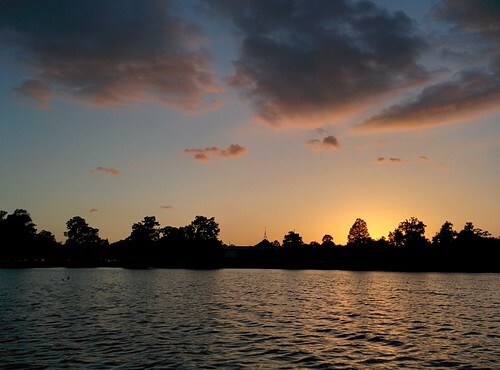 We’re always looking forward to the Sunset Paddles — what could be better than spending the evening with perhaps dozens of people out enjoying a wonderful spring sunset? After being rained out in March, both April’s normally scheduled paddle and the replacement for March’s rescheduled paddle were absolutely beautiful. Some of the best we’ve had. 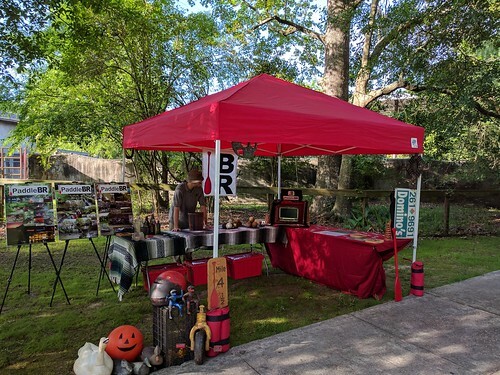 With the Sunset Paddle a success, we all headed home for some nice rest and relaxation… assuming by “rest and relaxation” you mean stowing the paddling gear and getting everything ready for our exhibit table at Louisiana Earth Day (this year at BREC’s Baton Rouge Zoo). We managed to get everything together with plenty of time left for sleep (over two and a half hours! ), and by early Saturday morning, we were setting up for another great Earth Day. Of course, the weekend wasn’t over yet. After a “quick” side trip to watch the Blue Angels at the New Orleans Air Show, it was off to Atlanta to pick up a brand new trailer. 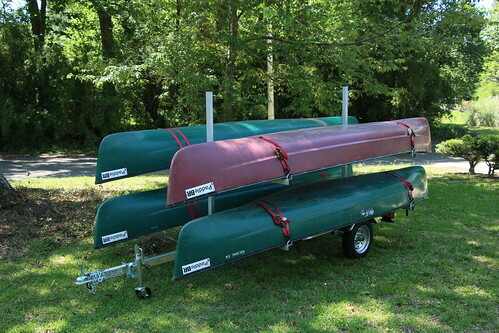 My collection of canoes was getting a bit too big to get everything to the bayou in only two trips, so I now have four on a new trailer (and I’m converting another for the more of my personal fleet). 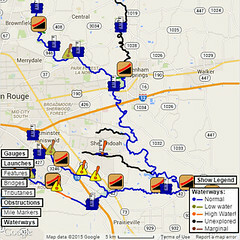 So, if you have no boat but still want to come out to help with a work day, do some cleanup, or have a nice guided trip on the bayou, we have plenty of room. Five very full days is enough for anyone, but who can argue with a Sunset Paddle, Earth Day, a side trip to an air show (sadly, with no paddling — it would’ve been faster than traffic), and a quick 1100-mile errand to pick up a new trailer? We’re still waiting to find out when exactly BREC will have everything just right and schedule the big grand opening festivities at the new paddle launch, but for now, I dare say everything’s coming along swimmingly.